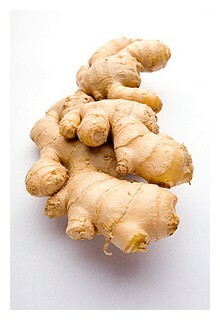 Red Wine, Green Tea and Dark Chocolate: Ginger reduces inflammation and protects the colon. Ginger reduces inflammation and protects the colon. Ginger’s anti-inflammatory properties may play a role in reducing inflammation in the colon, possibly reducing the risks of developing colorectal cancer, according to new research.